Many still don’t believe it, but yes it is official: The Honorable Minister Louis Farrakhan is tweeting. Since I have been on Twitter, the past three years, countless people kept asking me "When is Farrakhan going to get on Twitter?" Well, the wait is over. With the use of this modern technological tool, Min. Farrakhan is instantly reaching thousands of people with timely guidance, warning and inspiration. For those wondering what in the world is Twitter, it is an online social networking platform that enables users to send and read text-based messages (tweets) in 140 characters or less. The popular site has 200 million users including everyday people, celebrities, and businesses looking to engage clientele. In its early stages of development, its founder came across the word “twitter” which he said meant in part 'chirps from birds', thus the bird logo. Min. Farrakhan has expressed that his favorite and most enjoyable part is answering questions from those eager to learn more about the Teachings of the Honorable Elijah Muhammad. People are increasingly excited about having this kind of accessibility to a man who can speak for hours, yet is mastering the art of giving short Twitter responses. Min. Farrakhan’s Twitter classes are now recognized by the hashtag #AskFarrakhan. A hashtag is a phrase prefixed with a "#" sign and allows users to group posts together by topic. Over the past few months, Min. 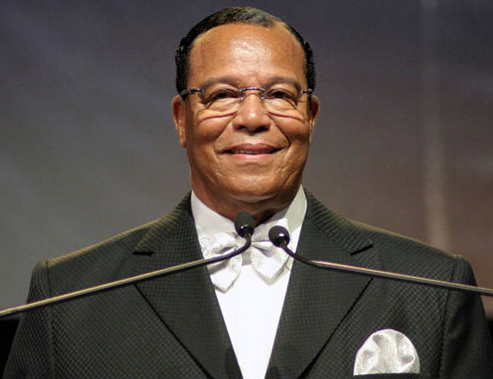 Farrakhan has responded to questions on topics such as Libya, Pres. Obama, marriage, youth, leadership, Malcolm X, education, politics, setting priorities, scripture, parenthood, the present weather conditions, music, technology and more. In more personable questions, people have asked him about his health, work ethic, the success of his marriage to Mother Khadijah, how he handles failure, how he prepares for lectures and his upcoming album. “Hopefully, my album will be released before the end of this year,” he tweeted. Min. Farrakhan’s quotes, responses and recent speaking engagements have been heavily retweeted (reposted) by other users to their own Twitter followers. Many have signed up to have his tweets sent directly to their phones. Demetric Muhammad, a student in the ministry class at Muhammad Mosque No. 55 in Memphis, sees Min. Farrakhan’s tweets as a gift to the toolbox of teachers, pastors, ministers and motivational speakers. “These tweets constitute bite size chunks of guidance that can be unpacked to lay out a complete message for knowledge hungry audiences everywhere,” said Demetric Muhammad, who has turned a few of Min. Farrakhan’s tweets into lectures. In Surah 27 of the Holy Qur’an, Solomon is mentioned as one who understood the “speech of birds” and scholars see this as a metaphor for his ability to convey messages from one place to another. Min. Farrakhan is a master communicator who speaks the language of the people that they may soar to a higher plane of thought and action. Follow him at www.Twitter.com/LouisFarrakhan for daily knowledge, wisdom and understanding. I THINK THAT MORE PEOPLE SHOULD FOLLOW THE HONORABLE MINISTER LOUIS FARRAKHAN AND WHEN I DONT GET A CHAANCE TO ATTEND MUHUMMAD MOSQUE#32 i listen to him via webcast. A most excellent article laid out very well! Keep up the Great Work Soldier! Has The Minister ever spoken For/Against The Prosprity Gospel in Christian Churches today? I heard The Black Eagle show on XM say it was a gospel snuck in poor churches by the republicans to make them feel like they have a chance to belong.